On Tuesday, November 13, 2012, Microsoft released 6 security bulletins in their regular 'Patch Tuesday'. Further, the properties of the device showed that the device was unable to start. 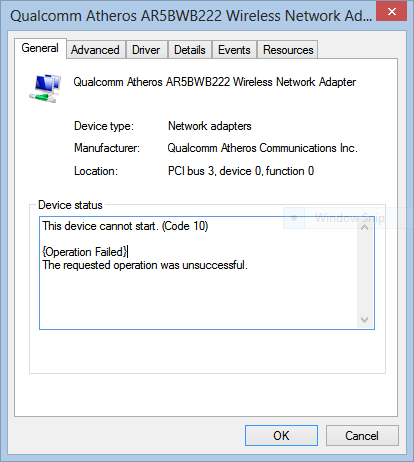 Attempting to update the driver reported that the latest driver was already installed - even connecting to a wired network and allowing the Device Manger to search the internet for a better driver was unsuccessful. 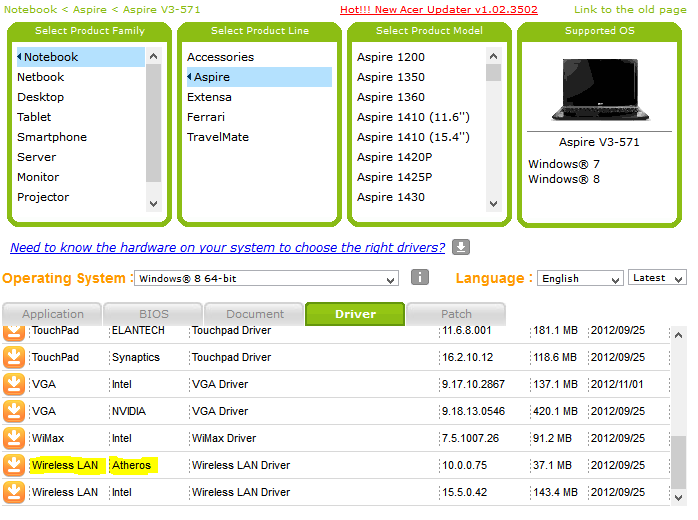 The solution is to visit the Acer website at www.acer.com, go to the support section and choose driver downloads. Enter either your computer model number (in my case V3-571), or the serial number from the sticker which you will find on your machine. Back in the device properties window, choose the 'Driver' tab and click the 'Update Driver' button. When you are prompted 'How do you want to search for driver software?' choose 'Browse my computer for driver software' and navigate to the folder into which you extracted the zip file. Follow the wizard to completion and the driver will be installed. 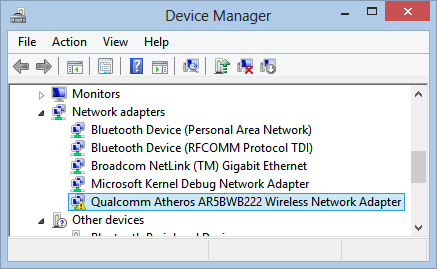 Open up the network connections screen and enable the wireless device if necessary. Reconnect to the wireless network as normal (you will need to enter your wireless password when prompted). I hope this helps you get back online - let me know in the comments how you get on!